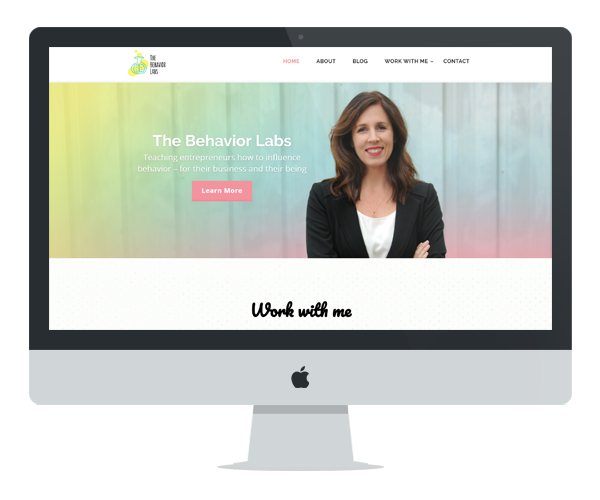 Leigh is an expert in human behavior who needed a designer to help her create her website for her coaching business. Her ideas were extremely refreshing and she was a pleasure to work with! If you ever need someone to tweak your offerings for you or help you build new habits, she’s the girl you need to talk to! Virginie was a dream to work with! She is friendly and easy going yet very detailed and organized. I’m so happy with my site and the process of creating it was a joy, thanks to her! I feel lucky I found her and would work with her again in a heart beat.